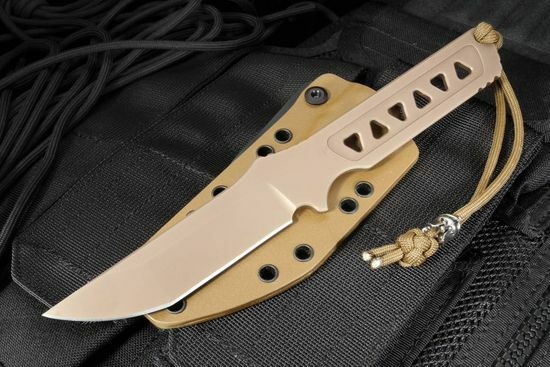 Spartan Formido Blades are made by American retired Special Forces operators who are dedicated to producing the finest knives from the highest quality American materials. These blades are built to withstand the toughest conditions while maintaining the sharpest edge on the modified spearpoint-tanto compound blade grind point which is capable of piercing harder surfaces. With a compact fixed blade, the Spartan Formido is the perfect lightweight knife for everyday carry or use in self defense and brush crafting. 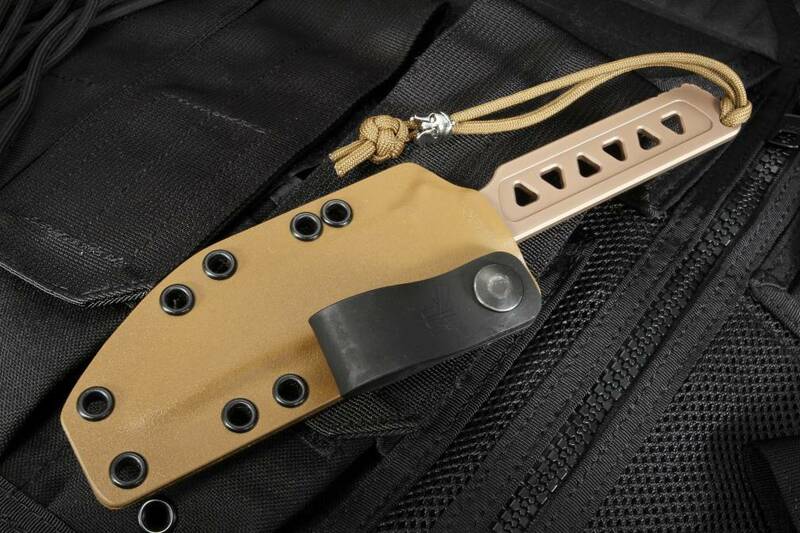 The full skeletonized knife design reduces weight and provides a gripping handle that allows you to custom wrap with paracord. Jimping on the handle's rear section with a thumb rest on the blade makes this knife easy to use and grip. This easy to carry 4.8 oz blade is perfect for belt and vest carry. The Spartan Formido has a blade thickness of 3.16" and a total length of 8.75" with the 3.875" long blade surface. 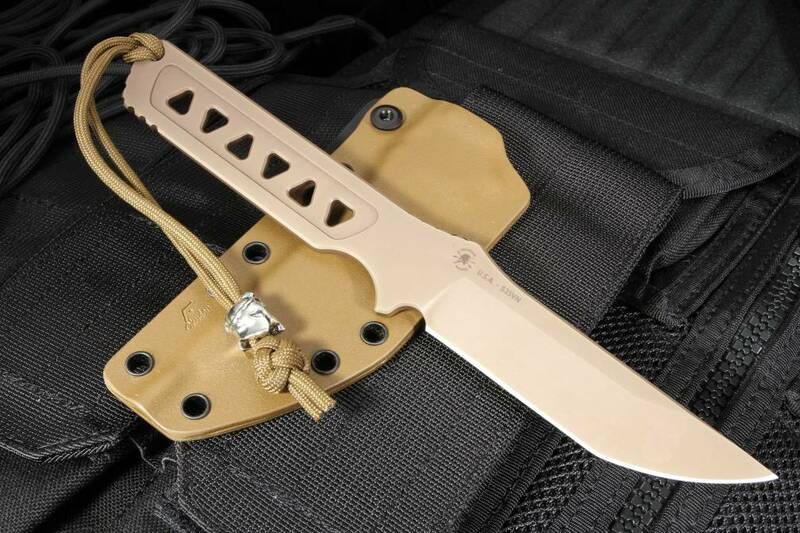 This knife is made from the finest American Stainless CPM S35VN Steel with a hardness of 59-60 HRC and has a SpartaCoat DLC Diamond like coating in black or FDE (Flat Dark Earth). The sheath comes in black or tan Kydex with IWB (Inside Waistband) belt loop for a great fit inside a waistband and as a horizontal carry blade or attached with a Spartan Blades helmet bead. Designed with safety and durability in mind this knife is an excellent choice for knife enthusiastic everywhere. At Knife Art, we stand behind our custom high quality American workmanship brands and knife markers to bring you great buyer reassurance when we answer the phone. As an Authorized Dealer this Spartan Formido comes to you with Free US Shipping and no restocking fees. Since 1998, we have offered only the highest quality American made elite knives as well as precision gear for tactical and combat to thousands of satisfied customers. SHEATH: Tan Kydex Sheath with IWB (Inside Waist Band) loop.